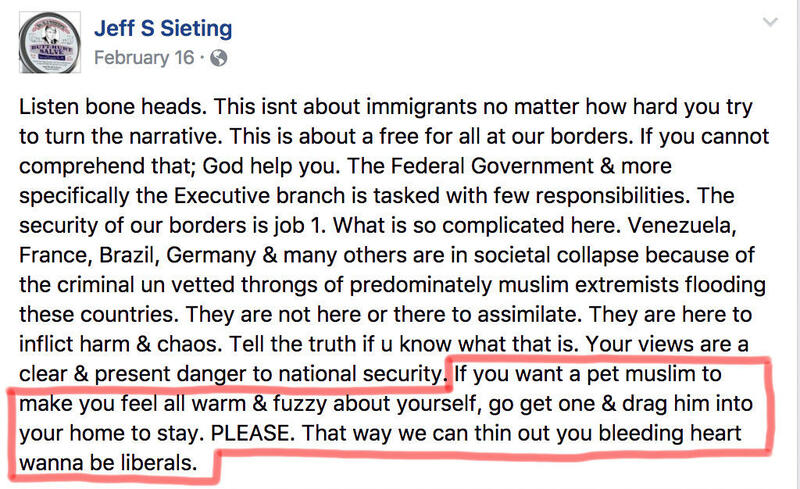 Kalkaska Village President Jeff Sieting frequently posts anti-Muslim rhetoric on his personal Facebook page. Kalkaska Village President Jeff Sieting frquently posts anti-Muslim rhetoric on his personal Facebook page. Last November, he made a post titled “Kill Them All – Every Last One” that appears to be copy-and-pasted from another source. 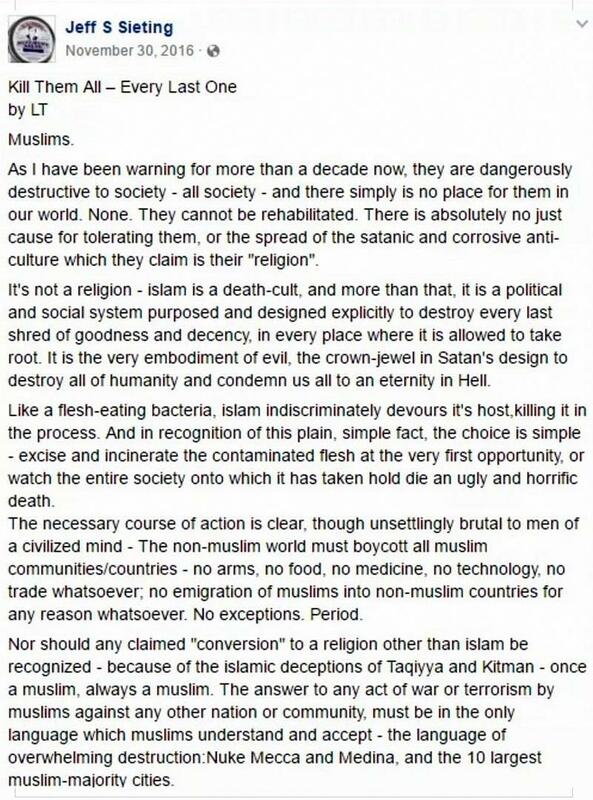 The post compares Islam to “a flesh-eating bacteria,” and calls for nuclear weapons to be used on Muslim cities. Sieting’s post was widely shared on social media this week. Protesters plan to gather Friday night in downtown Kalkaska. Sieting’s Facebook page also contains many conspiracy theories about microwaves, vaccines, Sharia law and the debunked “PizzaGate” scandal linking Hillary Clinton to a human trafficking ring. Phoebe Hopps lives north of Kalkaska in Antrim County. She saw the posts Tuesday. “I think it just hit me at the wrong moment, and I was just very upset by it,” says Hopps. She says her friends in Kalkaska are outraged by the posts. Hopps is organizing a protest called “No Hate In Kalkaska.” Protesters plan to rally at 7 p.m. Friday near the trout fountain in the center of town. Sieting did not respond to a request for comment for this story. 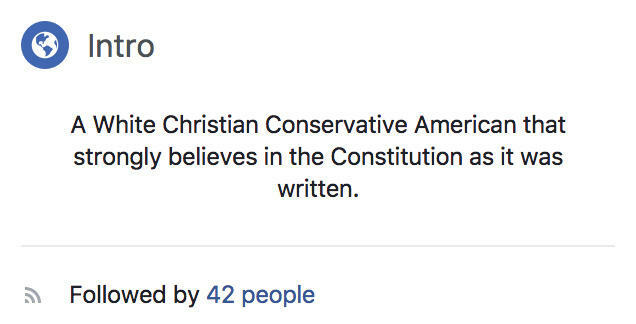 As of Tuesday night, his Facebook page was public.